‘I.A. 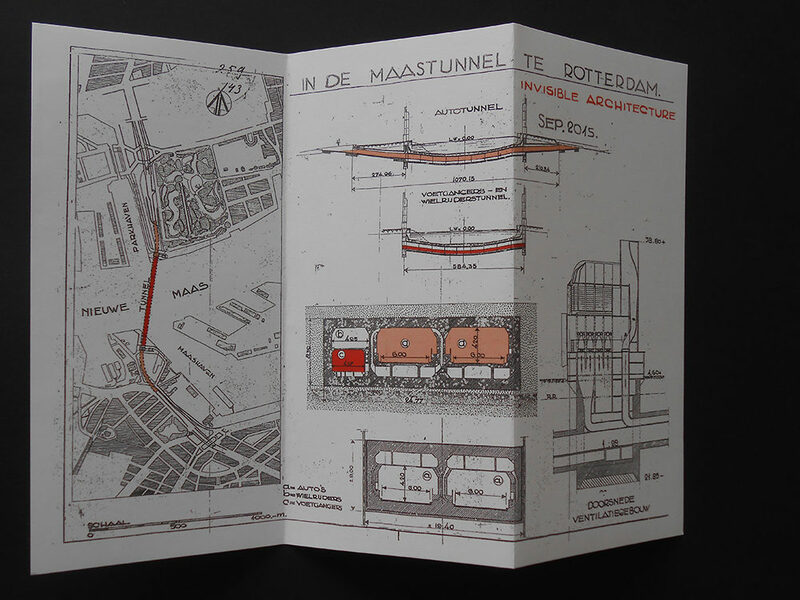 Maastunnel’ is a project by Chrs Galarreta and Janneke van der Putten, taking place in the Maastunnel, Rotterdam, between September 2015 and April 2016. 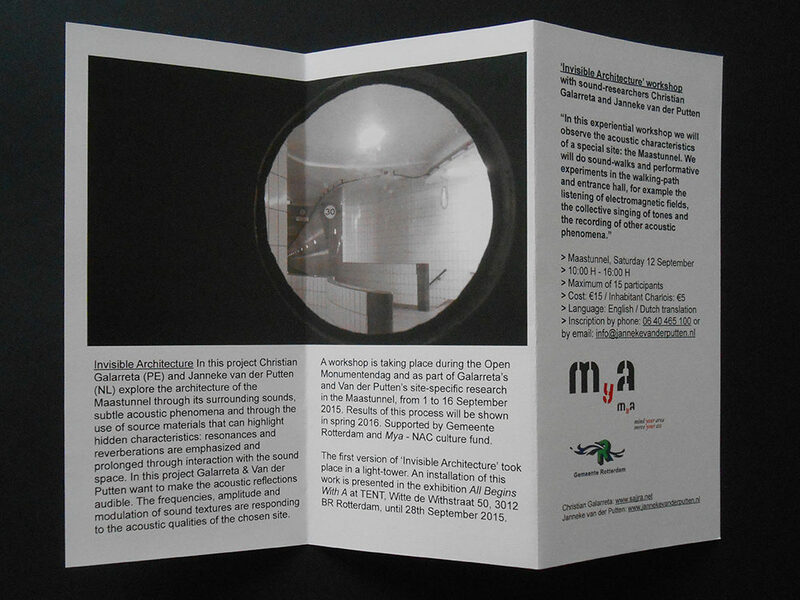 Their research is about the acoustic qualities of this monumental site, a 500 meter long tunnel under the Maas river. 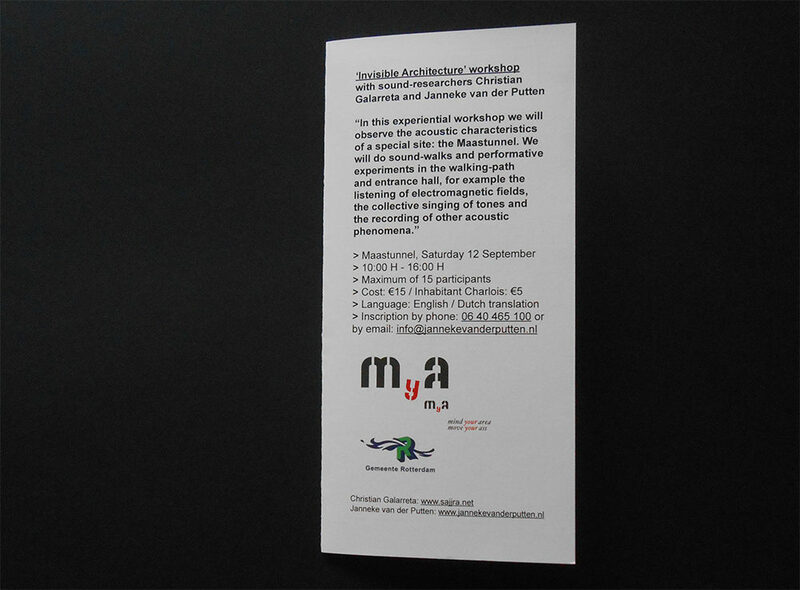 A flyer was made and distributed on the site, in occasion of the ‘Invisible Architecture’ workshop of 12 September 2015. A resulting artwork will be presented in Spring 2016. > Download the flyer –pdf. 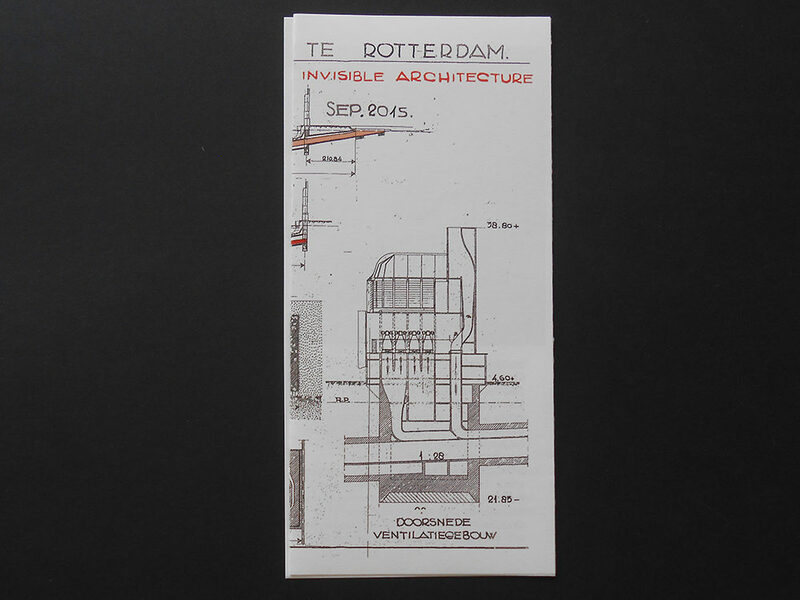 Edition of 100 copies. A4 format. 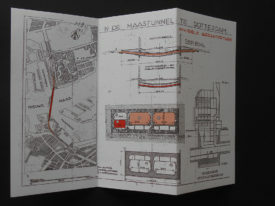 > Supported by Gemeente Rotterdam and the Mya-Fund of Stiching NAC.